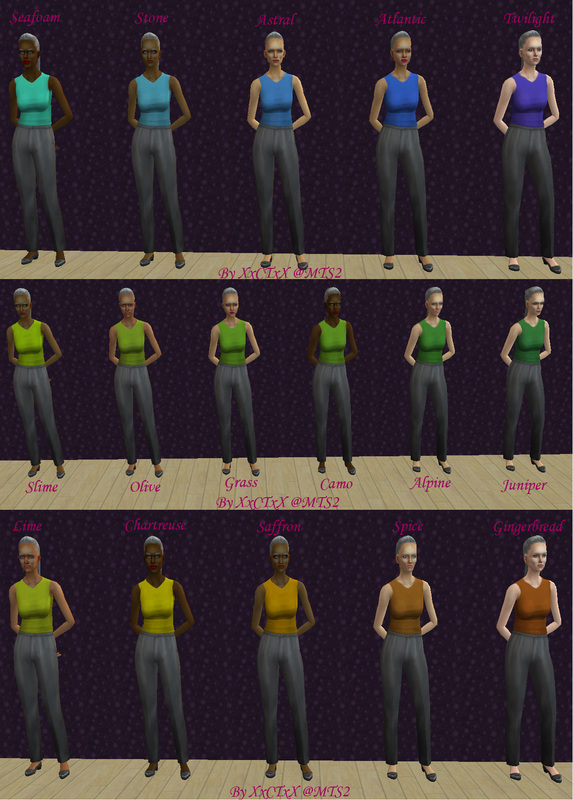 Hereâ€™s my something for #themeElders, a plethora of recolours of the base game vest for EF. 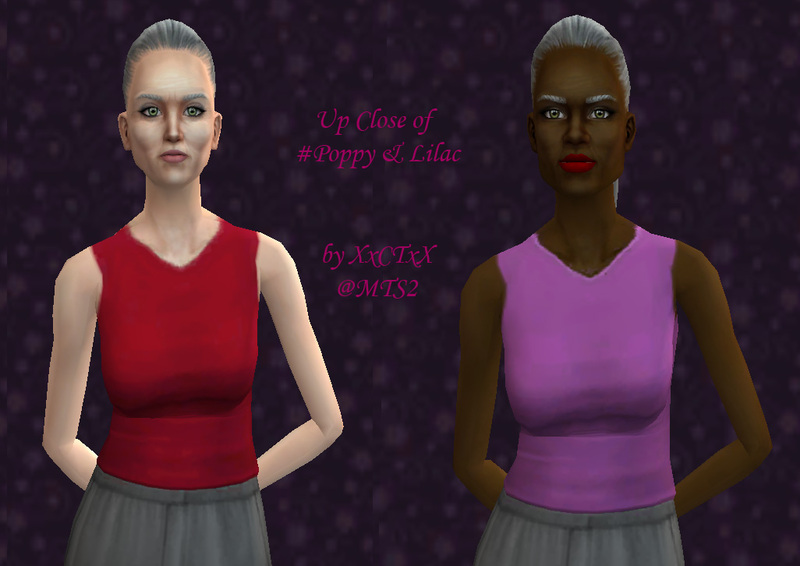 I have made a total of 39 recolours named; Alpine, Astral, Atlantic, Boysenberry, Camo, Cerise, Chartreuse, Coral, Dove, Fade to Grey, Gingerbread, Grass, Heather, Juniper, Lavender, Lemon, Lilac, Lime, Mauve, Medusa, Olive, Onyx, Pea, Pebble, Periwinkle, Poppy, Powder Blue, Raspberry, Rust, Saffron, Seafoam, Sky, Slime, Spice, Stone, Taffy, Turmeric, Twilight & Ursula. Note: Grass & Camo are quite similar in the screenshot but in-game they are a different shade depending on the sim, lighting, background etc. Thanks to these creators for helping make-up these lovely ladies! 18 people have said thanks to XxCTxX for this download.